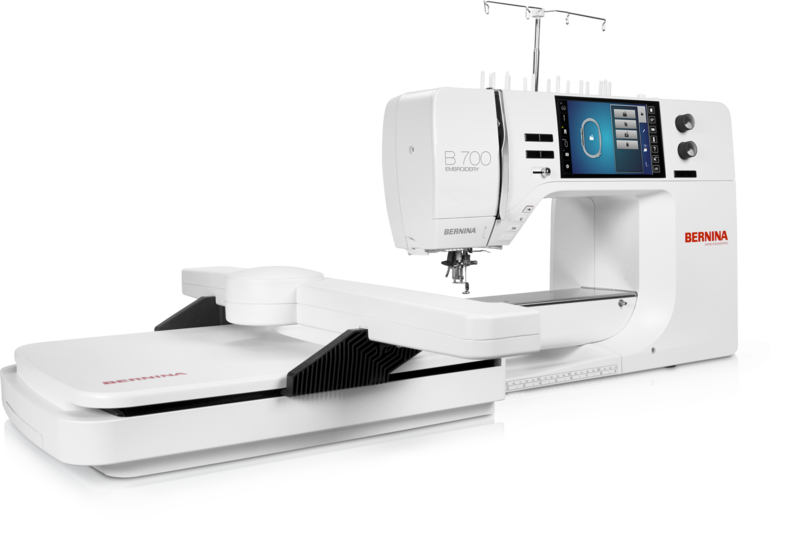 BERNINA 700E Embroidery Machine - extra large embroidery area, Pin Point Placement for accurate design positioning, jumbo bobbin, invisible and smart secure functions and cutting of jump stitches, extensive embroidery consultant feature and so many more cool features. If you already own one of the 7 series machines with embroidery module consider that you can purchase the machine without the module so your original module doesn't sit idle while you are sewing! A truly beautiful embroidery machine.